Unique and Affordable .. We have put together some delightful combination of foods, drinks and also a gifts to provide you with plenty to choose from ..whether you're looking for a great value gift basket or luxury premium Dates & Hari Raya Hamper...we've got the right hamper, at the right price! 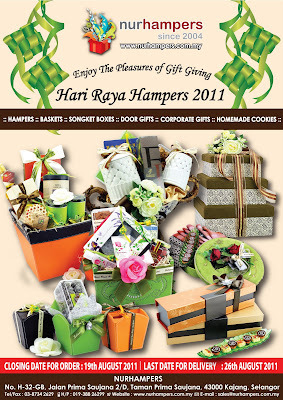 We also can customize a hamper to suit your special requirement. "Selamat Menyambut Ramadan Al-Mubarak daripada Nurhampers & Team"